Join artist Whitney Kreb for the opening of her solo exhibition at the George Gallery on Friday, April 17 from 5 – 8 pm. 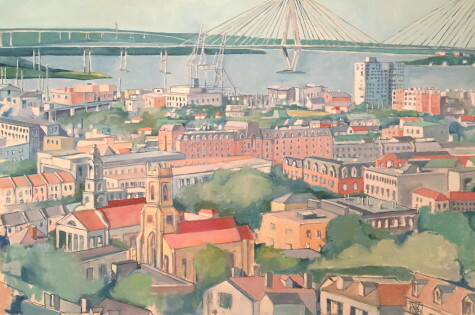 The artist, who splits her time between Charleston, SC, and Nantucket, MA, received her BA in Studio Art from Davidson College and her MFA in Painting from the Savannah College of Art and Design. She has also studied in Florence, Italy, and at the Art Students League in New York City.